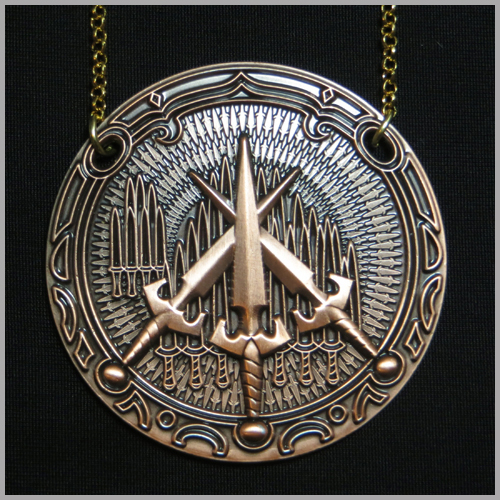 Join the Tyenee with this 45mm medallion, emblazoned with the mountain of daggers. The copper pendant is the first badge of any member. Made from zinc alloy. Comes with 75cm chain.